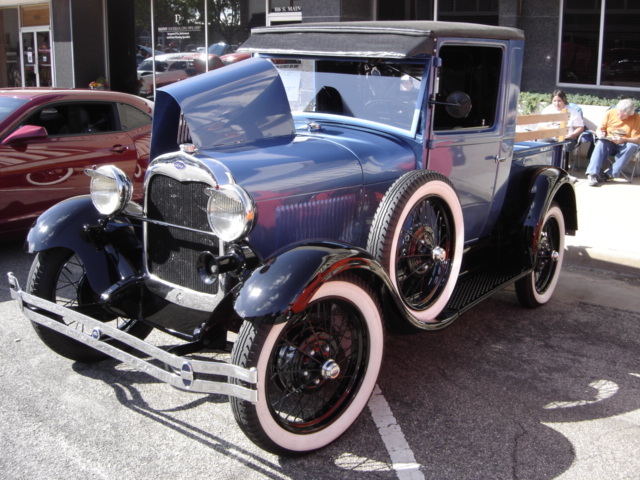 This outstanding 1929 Ford Pickup belongs to Scott and Kay Hicks of Ponca City. The truck was originally purchased by Ponca Floral for use by the business. Then in 1990 Dan Hicks (Scott’s dad) purchased the truck in its original condition. Kay still says, "There is something about a pickup man!" Scott just smiles! 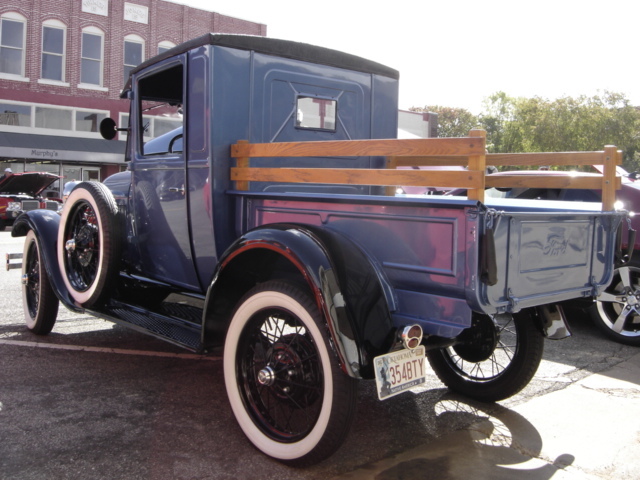 Dan took the old Ford to J D Harks of Ponca City in 1993 to do a complete restoration. 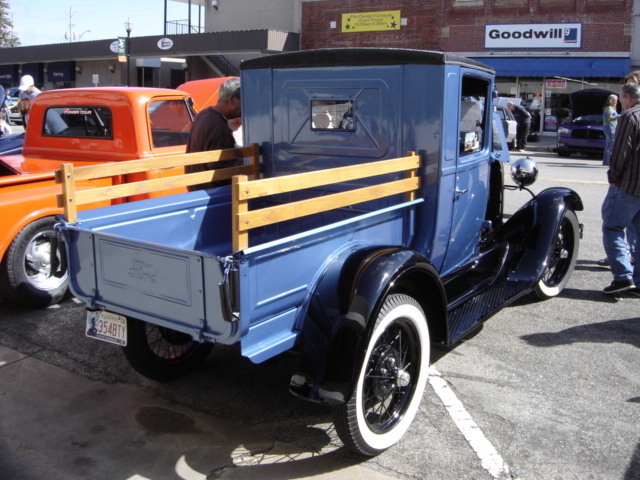 The color choice selected by Dan, which was a color Ford used on its F Trucks in 1985, is Bright Regatta Blue. This color matched Dan’s trucks in his backhoe business. 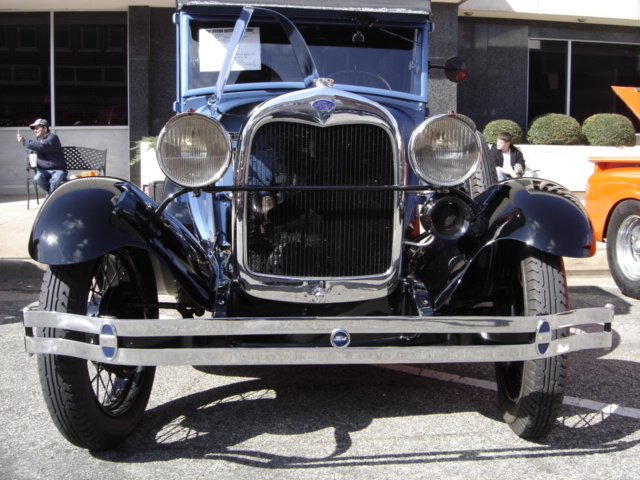 The Model ‘A’ Ford’s four cylinder 200 cubic inch engine puts out an advertised forty horsepower. 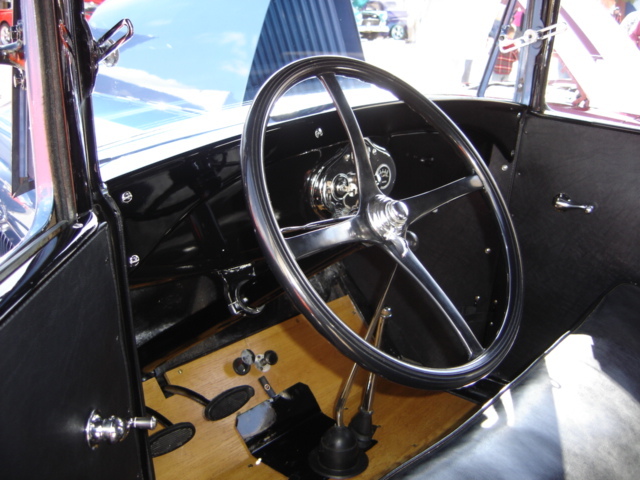 The transmission is an unsynchronized three speed. These transmissions have an “H” shift pattern and were a big improvement over the transmissions in the “T” models. 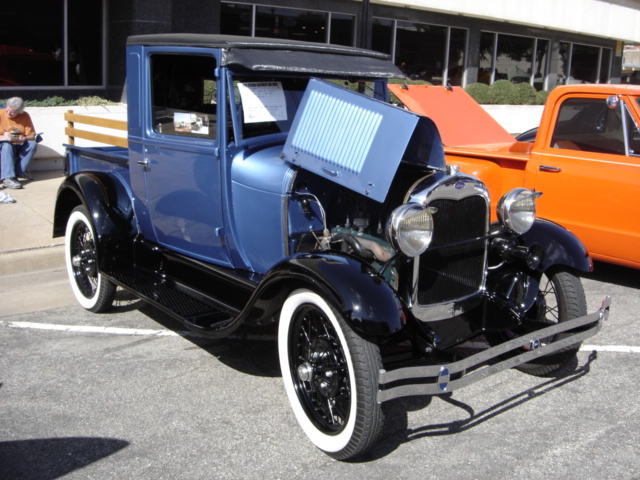 The 1929 Ford Model “A” pickup sold new for about $475.00. 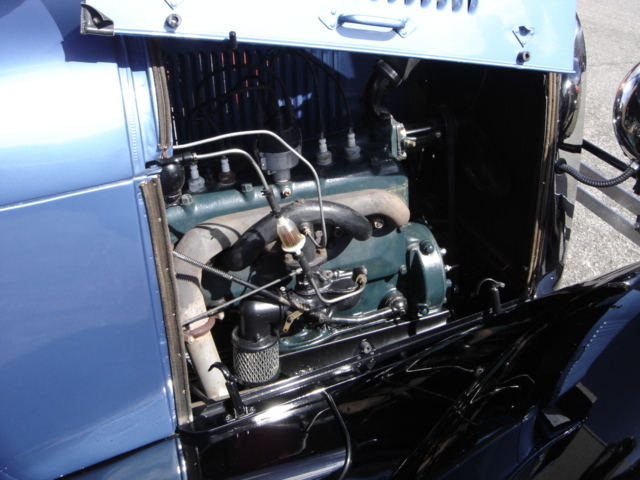 Since Scott’s family has owned the “29” they have not touched the motor because it still runs very strong. The odometer reads twenty six thousand miles, but Scott is not sure how many times. The truck has the original 4.40 X 21 wheels with a set of time correct Firestone white wall tires which makes this classic look classy! Due to illness, Dan decided to sell the old Ford in 2008. Dan told Scott he was going to sell the “29” on E-Bay! Scott said, “No you’re not. I am buying it.” The love affair still continues today between the 29 and the Hicks' Family. 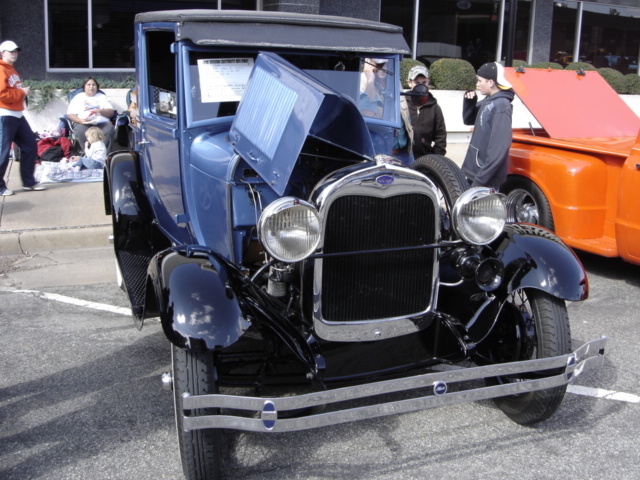 The Cimarron Starlite Cruisers sincerely thank Scott and Kay Hicks for sharing their 1929 Ford Pickup as our Great Oklahoma Classic for November 2009!